Judging a Chocolate Salon is no easy task. Yes, it's lots of "free chocolate," but not all of it is good and after an hour you'll long for salad and a spin class. But what keeps me coming back is discovering new chocolatiers who have something special to offer a competitive Bay Area chocolate scene. 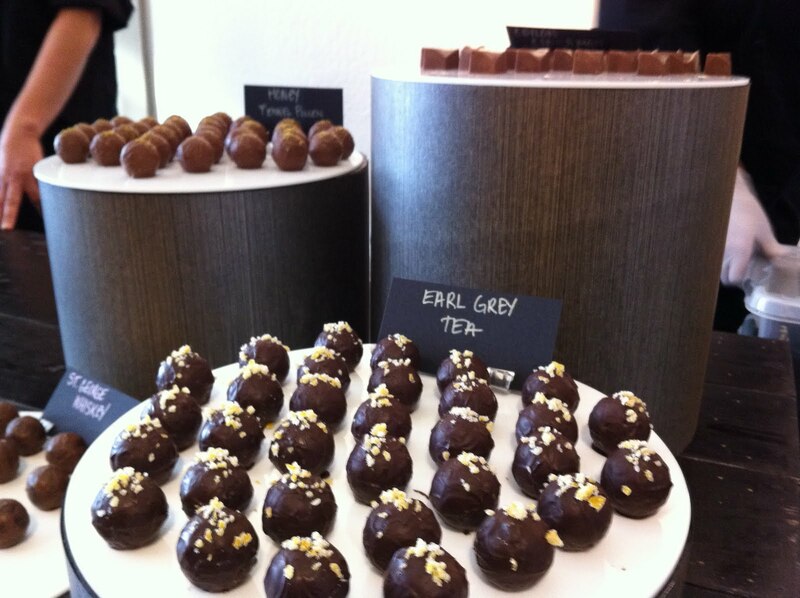 At Taste TV's Fall Chocolate Salon on November 13, I had the pleasure of tasting some decadent truffles from Bridget Labus and Gianina Serrano of Sixth Course. Coming soon, to the Mission district! Bridget and Gianina have solid experience in Pastry at fine hotels and restaurants in San Francisco. Bridget has been Executive Pastry Chef at several 5 star luxury hotels, including the Four Seasons and the St. Regis. Gianina has had similar experience, focusing on Pastry at high volume fine dining restaurants (with the addition of courses in cheesemaking). It's no surprise, then, to find Sixth Course on the truffle cart at the always elegant Acquerello. But soon Sixth Course will be making the leap from luxe to edgy, as they are in the process of building out a boutique at 15th & Capp in the Mission. Not confined to truffles, the spot will sell petits fours, entremets, semifreddos, tea and coffee. (Stumped on "entremet"? see here.) Since San Francisco has seen more chocolate shop closings than openings in the past year, I am excited about the new space. Before long, our Chocolate Tours will be heading from Hayes Valley into the Mission and beyond. For a new company, Sixth Course has a wide array of tempting flavors in three categories: Caramels, Wine & Spirits, Chef's Choice. They are sold in boxes of six, in simple brown packaging made from recycled materials. Most are round and generously sized. Booze and chocolate lovers, this is the brand for you. They work with premier local distilleries (like St. George) to create some delectable flavors, including the Whiskey, Neat and Raspberry Cosmopolitan. There are 6 different caramels on the menu, and we sampled both the Chai Tea and the Ceylon Cinnamon. The most unusual was Honey Fennel Pollen, a balanced blend of seasonal Bay Area flavors. 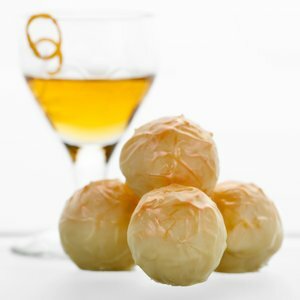 The classic Hazelnut Praline was also delicious, flavored with just a touch of Frangelico. 2. Where do you find some of your favorite desserts in SF? What restaurants and pastry chefs? Depending on the mood, a soft serve ice cream cone at Bi Rite ( can't be beat !) or plated dessert at Redd in Yountville ( always a pleasure to see and taste). Our go-to cake shop is Miette in SF ( love the look of their classic cakes, and the taste and textures are always right on the money!). Bouchon macaroons are also one of our favorites. 3. What are your favorite dessert cookbooks? Chez Panisse Desserts. love love love fruit in a dessert! 4. What is the significance of your company's name? The sixth course is typically the dessert course and our logo is the place setting. This idea came from one of our Grandmother's cookbooks from the 30's. 5. What is the biggest challenge to starting an artisan food business in SF? Getting your name out there. Exercising patience and realizing that everything takes 5X as long as you think it will. Navigating the bureaucracy of the permitting system for our build out. Have you tried Sixth Course? For now, look for them online and at Avedanos, Rainbow Grocery and the 24th St Cheese Company. Let us know what you think!